The condition of this 50th Anniversary Serenity is extremely good. It has been lightly used, and well taken care of. The current owner has traveled with her dog in it, but it was only one trip and it's a small breed that does not shed. 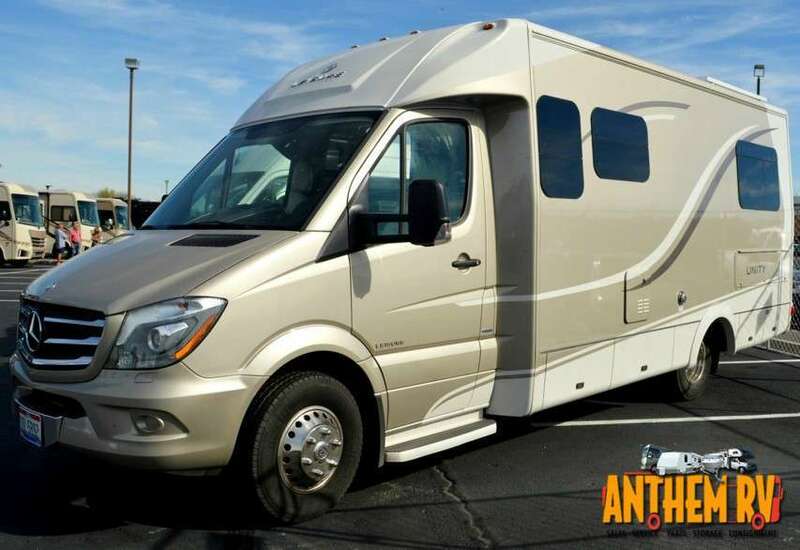 Stock #175128 Excellent Leisure Travel Serenity 24CB with very low mileage! 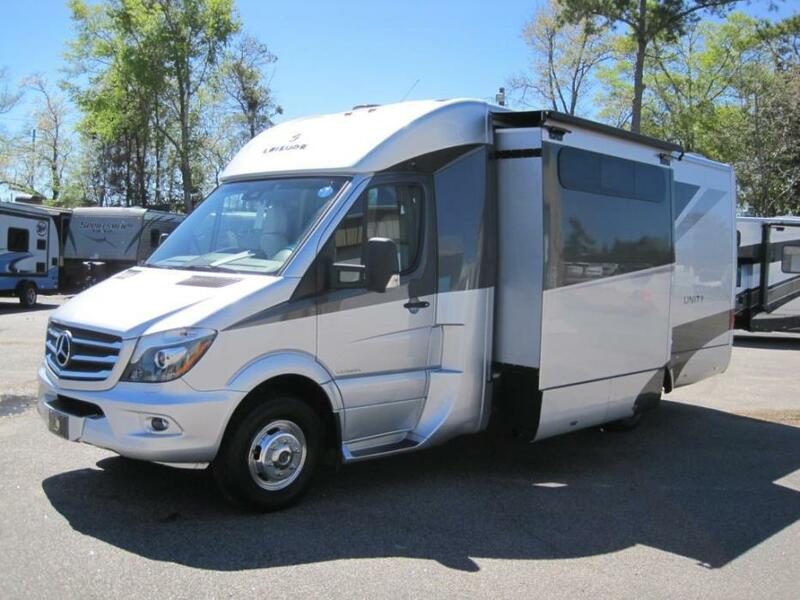 If you are in the market for a class c, look no further than this 2015 Serenity S24CB, priced right at $116,700. 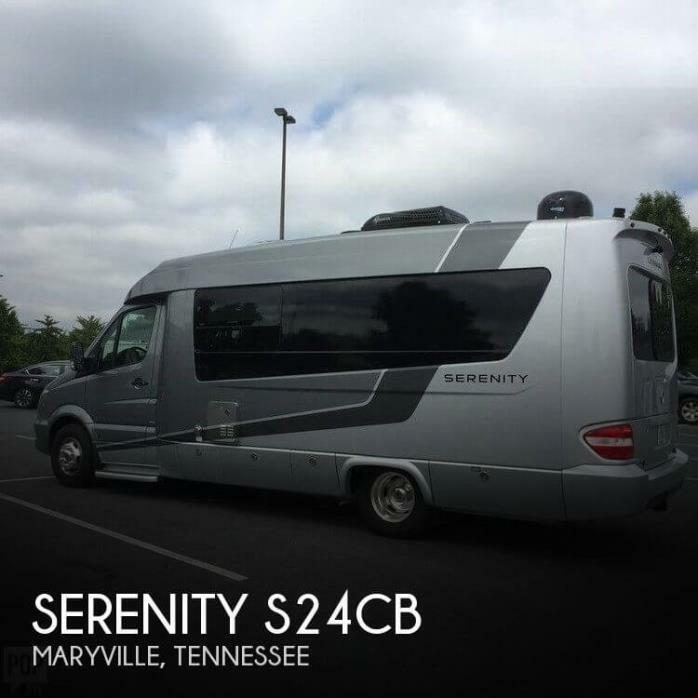 This Class C is located in Maryville, Tennessee and is in great condition. She is also equipped with a Mercedes engine that has 5,600 miles. Reason for selling is doesn't need anymore. 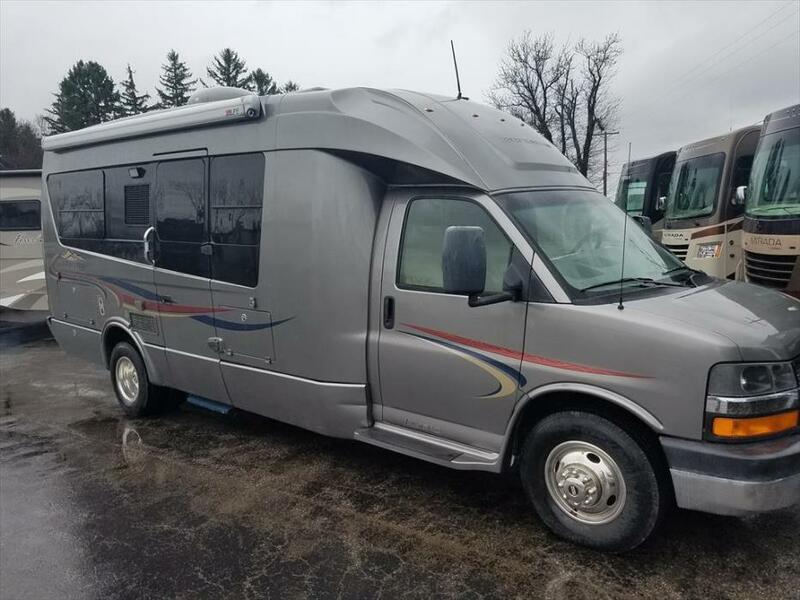 2015 Leisure Travel Vans U24TB Twin Bed 2015 LEISURE TRAVEL VAN MODEL U24TB TWIN BED BY LEISURE When you are travelin on the open road we know how important is to get a good rest, at any point in the day. The twin bed floorplan offers you a great nights sleep and a comfortable place to relax. 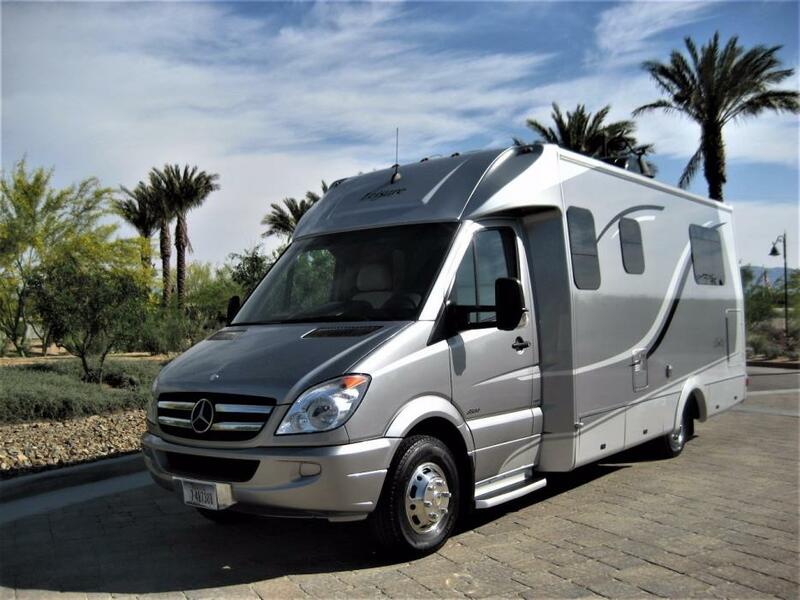 This unit is the perfecto touring coach for those extended journeys. Non-smoking owners. Used only on the west coast. New Tires. 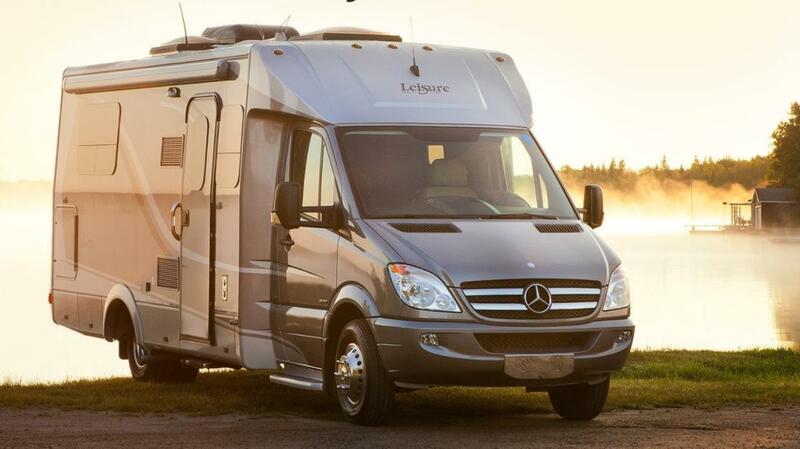 Serviced regularly and locally.This Free Spirit LSS, is a very special, limited production edition of the popular Free Spirit by Leisure Travel Vans. 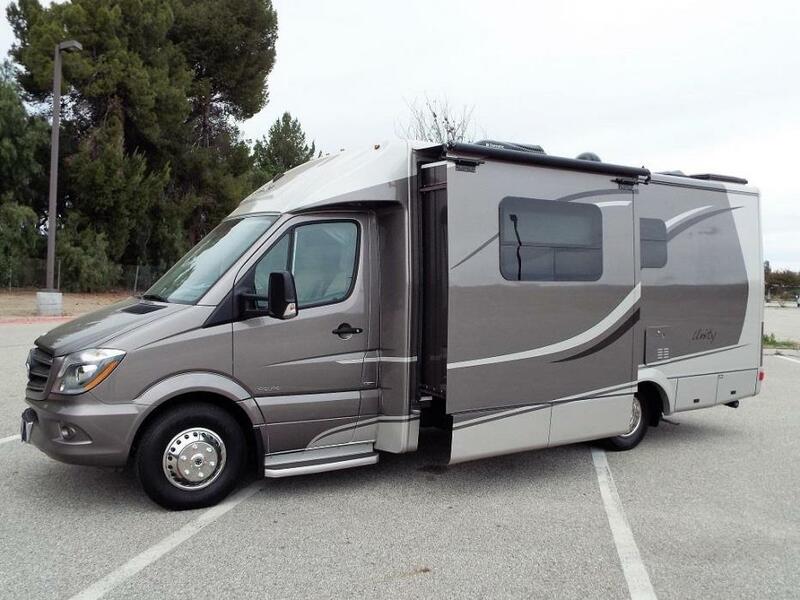 This touring van features ALL the upgrade features and amenities offered by Leisure Travel in 2006-07, including leather 5-way adjustable Captain's chairs for comfort on long drives, a front table package for additional dining, a back-up camera for maneuvering in tight spaces, and an air suspension system for improved ride and cornering -- plus many additional "options" that make this model a "beautiful unit that symbolizes the quality and elegance associated with the Leisure Travel Vans name." Unique to the 2006-07 Free Spirit LSS chassis is the 2.7L Mercedes Benz Turbocharged CDI diesel engine, which has superior power, reliability and gas mileage (21-24mpg) than newer model engines. 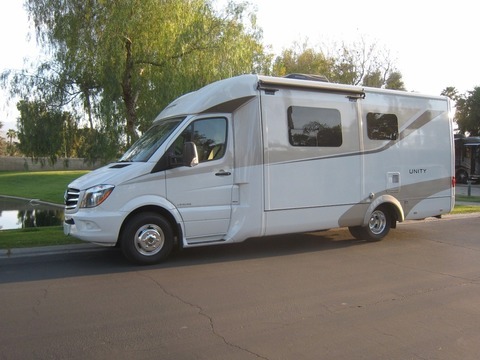 We fell in love -- and still love -- the Leisure Travel Free Spirit LSS, because it has allowed us to enjoy exploring the backroads and byways of the Western States where we live in exquisite style with the added pleasure of having all the comforts of home along with us. We have never worried about where we were going to have our next meal -- or "rest stop" -- because we had everything we needed along with us! . Additionally, we have installed several after-market products including KONI shocks, rear helper springs and a solid-state sway bar that make driving the van as easy and stable as driving a car. We have also dressed up the van v.ith all Mercedes Benz badging, so that everyone knows what a finely designed and engineered vehicle the Free Spirit LSS is.THE DETAILS: The Mercedes Benz/Sprinter chassis includes a 2. 7L Mercedes Benz Turbocharged Diesel Engine, 5 speed MB Automatic Transmission , Disc Brakes with ABS, , Front & Rear Anti-Sway Bars, 150 Amp Alternator, AC, Cruise Control, Power Windows/Mirrors/Door Locks with Keyless entry, AM/FM/SAT radio, CD Player, Dual Air Bags, 3.73 Rear Axle Gear Ratio, Head Light Lamp Adjustment, and Flexsteel Series 5 UltraLeather/Swivel/Power Seats. Solid Cherry Wood overhead cabinets, Wardrobe Closet, full bath with Toilet, Shower, Flip-up Sink, Vanity Counter, Medicine Cabinet & Retractable Clothes Line, Magazine Rack, Spice Rack w/Paper Tov.el Holder, 4 cu.ft. 3-way Dometic refrigerator, 2-burner Propane Gas Stove w/safety cover & stainless steel backsplash, Microwave/Convection oven, 16,000 BTU Furnace w/Digital Climate Control, 6-Gallon ac/lp, Hot Water Tank with ByPass, and Auxilliary Battery. 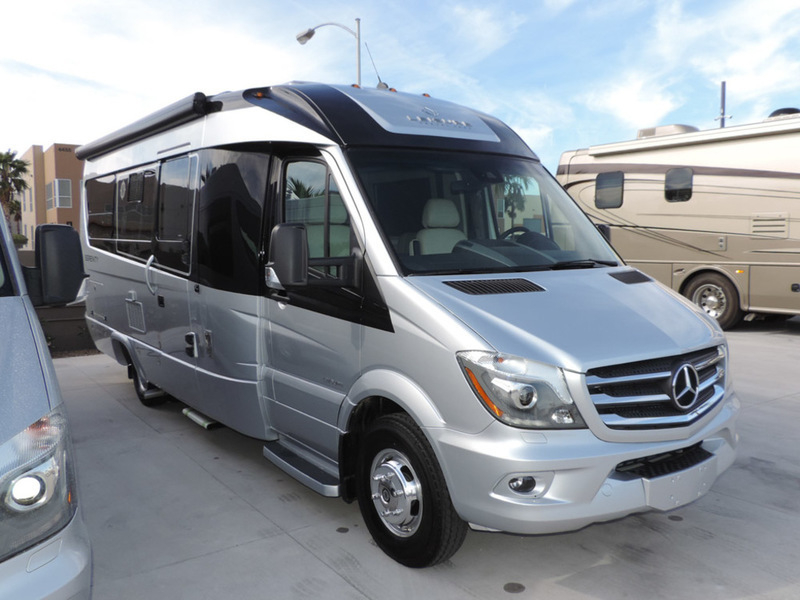 2017 Leisure Travel Vans Unity U24FX (B-PLUS), The U24FX "Flex" B+ style RV is the Unity's newest and most "flexible" floor plan and with it's spacious interior it's easy to see why it is sure to be a top seller. 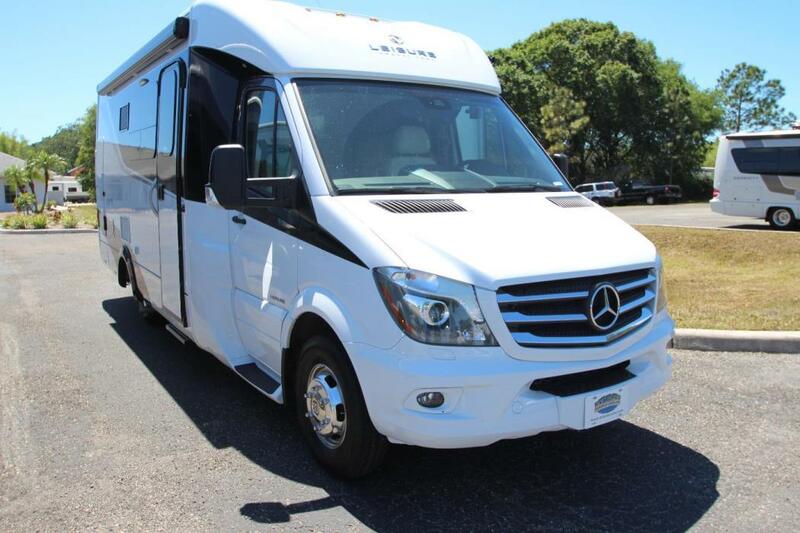 This luxurious Mercedes-Benz motor home features a near King size (68" x 76") Murphy bed in the slide-out and a rear L-lounge separate seating area that converts for lounge, or a small desk in the ottoman. 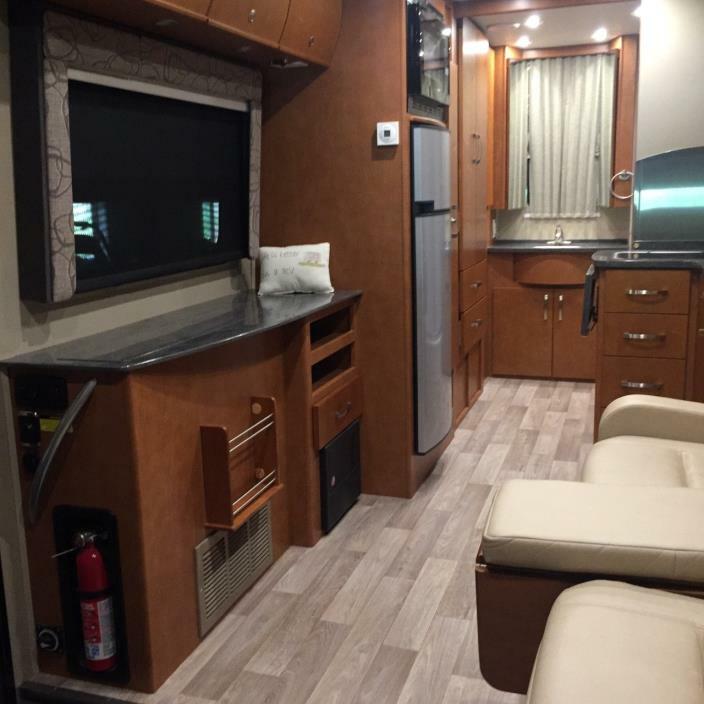 Also there is a 28" LED TV on swing arm, curved European cabinets throughout, and a roomy little rear corner bathroom. 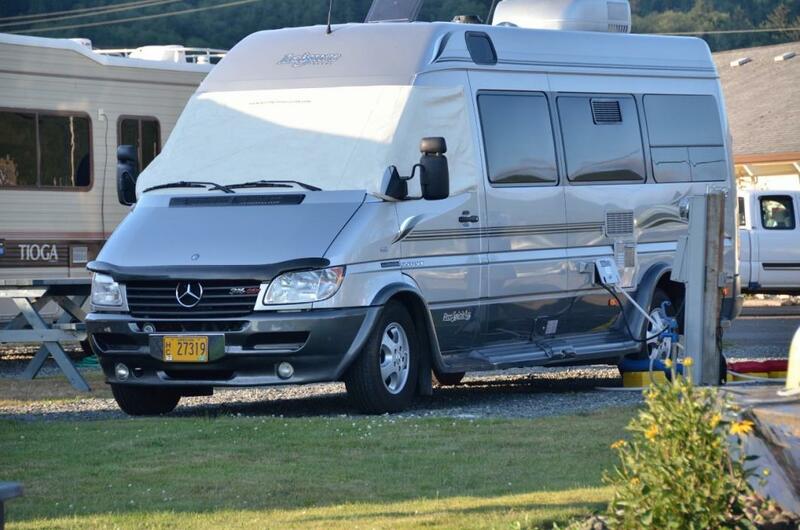 The Leisure Travel Van Unity U24FX is one big "little" motor home. The MSRP is $147,402. We have a very limited allotment of these Leisure Travel Unity & Serenity models available. 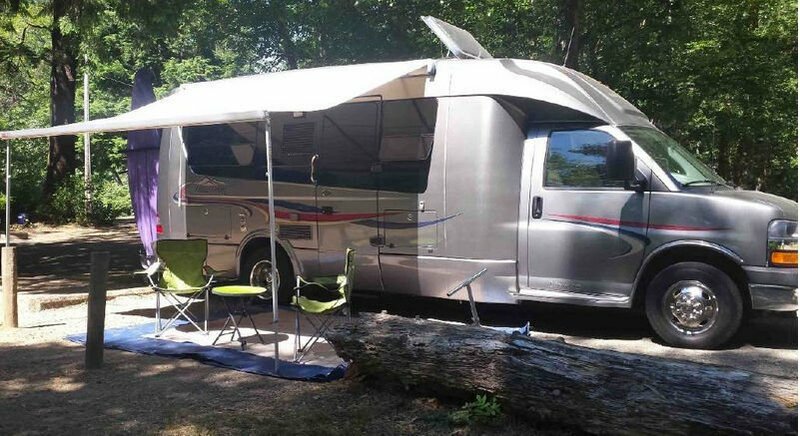 , 2017 Leisure Travel U24FX Specs:GWVR: 11,030 lbs.Empty weight: 9,290 lbs.Over-all length: 25' 1"Body width: 7' 10"Height w/A/C: 10' 6"Fresh water capacity: 30 gal.Grey water capacity: 37 gal.Black/Waste Tank: 29 gal.LP Gas Tank: 15 gal.Fuel Tank: 26.4 gal., Mercedes-Benz Sprinter 3500 ChassisMB 3.0L-V6 Turbo Diesel EngineMercedes-Sprinter Chassis Upgrade Package:*Bi-Xenon headlamps w/LED lights*Auto on/off Headlamps w/Auto Hi-beam *Collision Prevention Assist*Lane Keeping Assist*MB Factory Fog Lamps*MB Bluetooth Stereo w/Becker Map Pilot NavigationPower Patio Awning w/LED LightsMirage Decor Package with Fog Ultra LeatherEspresso Cabinets and Matt Glamour Decor Package with white upper cabinet doors, white Corian Counter tops, and upper accent lighting.3.2kw ONAN Diesel GeneratorALCOA Aluminum Dura-Bright wheels (all 6)Dual Upgraded ceiling Fans w/Rain Sensor2 x 100w Flex Mat Solar Panels (200w)2 Power Stabilizer JacksKeyless Entry Door Lock30amp Surge Protection SystemMacerator for waste systemRemovable table b/w captain chairsFactory Low-boy freight from Winkler-MB Canada2 year Leisure Travel Van Warranty3 Year/36,000 miles MB Chassis Warranty5 year/100k MB Diesel Engine Warranty. 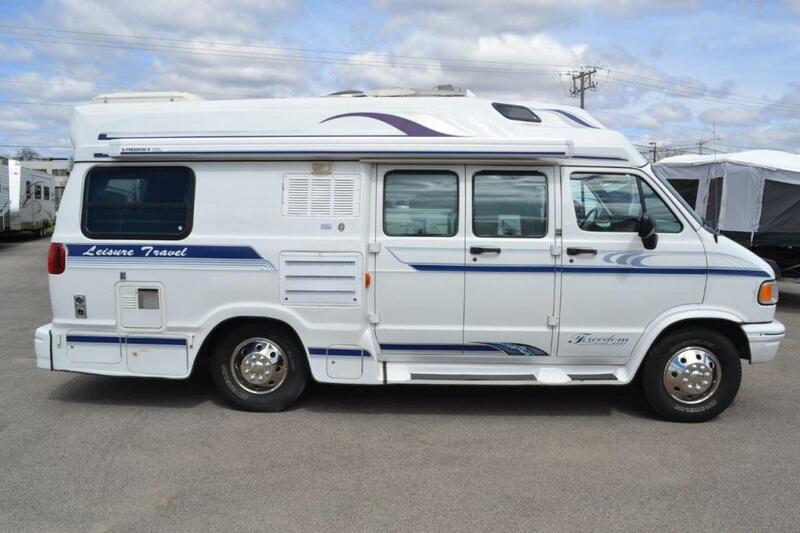 2006 Leisure Travel Free Spirit MTRH. 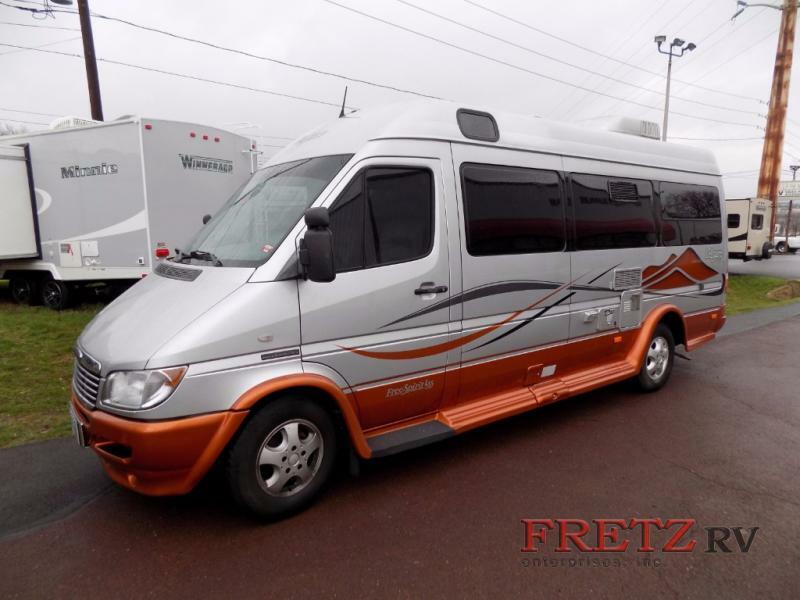 2006 Leisure Travel Free Spirit MTRH., Call for details.